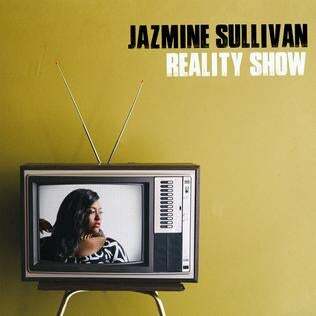 I’ve been voluntarily flailing from irrational emotion to irrational emotion for over a week now because Jazmine Sullivan has released a new album. Jazmine’s songwriting on Reality Show is so specific and raw, “Brand New” really had me ready to ugly cry like I paid for bae’s studio time and he just up and left me for a beaded bracelet model. It is the 2015 Angela Bofill "I Try" and I was not ready. Between Mary J. Blige’s My Life and The Waiting to Exhale Soundtrack, I had the emotional capacity of a divorcee by seventh grade. Your blues ain’t like my blues if your grandmother didn’t make you hand-write Colombia House an apology letter for not being able to pay for your Changing Faces All Day All Night cassette. My heartbreak clairvoyance for the 99 and 2000 is TEW MUCH. I literally have to collect my livelihood every time Monica's "Love All Over Me" video comes on Vh1 Soul and she marries Shannon Brown even though she loves Maino and he just got done with his bid but he made her promise she would live her life while she was gone. Pause. This is why Jazmine is dangerous. “Forever Don’t Last” tests my self control to not get a curved acrylic full set painted Pecan Frost just to point my index fingernail in my confused husband’s face for emphasis while I lip-synch. “Dumb” is Fresh Flat Iron 1997 Mitsubishi Eclipse Stakeout Music. So for the sake of my covenant, I must take her and her all-encompassing z off repeat. Christina E. is an East Oakland native currently working on her memoir hella. She spends her free time getting fresher fades than your boyfriend. You can read Christina's personal blog at christinawrotethis.com.